SEWnFit.com is having a huge sale on all of their bestselling repair ebooks, including the popular “Sewing Machine Repair as a Home Business” book which has NEVER been put on sale before. 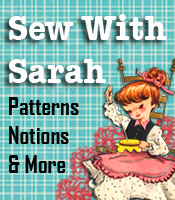 For a limited time you can get a whopping 30% off all sewing machine, serger and treadle repair books! This is a great time to get your copy of a complete home business manual that will help you to start your own sewing machine repair business, or add some additional income to your current business, for only $41.97 (regularly $59.95). Download yours today and start saving on repairs right away! Learn the tips and tricks you need to repair your own machines and never worry about breakdowns again.